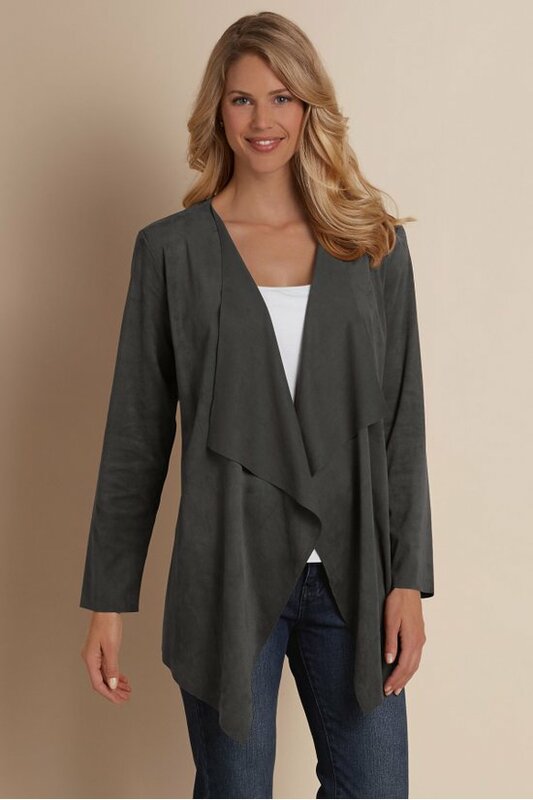 Deliciously soft micro-suede cardi offers a chic top layer in a contemporary shape. With an open front cascading to a point hem, plus clean laser cut edge detail in desirable neutrals. Misses 28"/34" long.